Native to Sonoma County, Kale was organically exposed to wine country. Growing up as a competitive athlete, with a deep-rooted love for the land, he was in awe of the beauty of the landscape right in front of him. Initially inspired by his father, he intended to pursue a degree in medicine at the University of California, Davis. Ironically, during course work at university he found his true calling while studying DNA repair in plants in Davis' Plant Biology program. Kale had a sudden fascination with the plants and what they produced. It was during this time that his passion for winemaking was uncovered while taking a basic viticulture and enology class. He later graduated with a Bachler of Science in Viticulture and Enology from Davis. 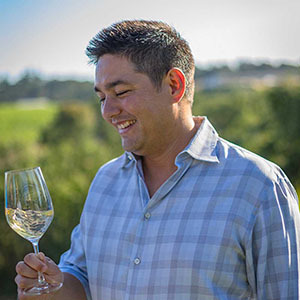 Over the next several years Kale worked at Colgin Cellars, Terra Valentine Winery, Cliff Lede Vineyards in Stags Leap District and most recently at Pahlmeyer where he (and Pahlmeyer) received a first 100-point score from The Wine Advocate in December 2016. "The first perfect score I've given to Pahlmeyer." 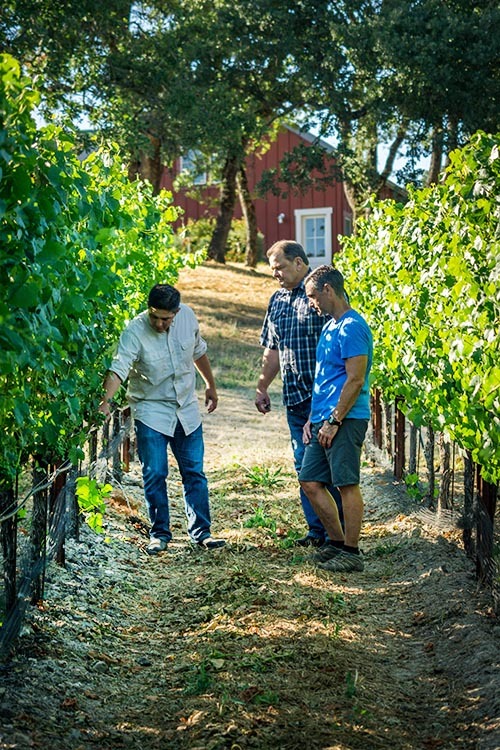 Robert M. Parker, Jr.
Kale believes that each wine has a story of its own. He patiently orchestrates the development of the fruit after it is off the vine and gently guides it through the craft of wine making. By marrying modern tools and equipment with traditional practices the unique characteristics of the fruit coupled with the terroir in which it grew, creates authentic artisanal wines. Kale and Ranko Anderson were amongst the first friendships we formed while making our move from the east coast to the Russian River Valley. By luck of fate and days after we started farming Vineyard eleven, we were seated next to Kale and Ranko at a supper in the Vineyard at Kick Ranch. It was our passion for wines that brought us together and our love for family, friends and, ironically soccer that created a long lasting diversified relationship. We remained friends through the trial and tribulations of raising children, farming vineyards, and crafting wines. Both families followed our individual callings, Kale in wine making, and Marla & Geoff in growing grapes. There were many social gatherings but there was one in particular that changed the current path in which we traveled. It was a warm Russian River summer evening barbecue with great food, fantastic wine and good friends when we were discussing starting our own label, Kale simply suggested..."Why don't I make the wine for you?” And this is where the story of Domaine de la Rivière begins…..